Computers are becoming almost a necessity for today’s students, but can also expensive. Students need a lot of supplies for the school year, so if purchasing a computer is on your radar you’re looking to save as much money as you can. Fortunately, electronics superstore Best Buy has a program that can make a needed computer more affordable, and help students be as successful as possible. My son is getting ready for his first year of college and would like a laptop. We were browsing on the Best Buy website and noticed some computers had a notation indicating students saved an additional amount. I clicked on the banner and was brought to a landing page that allowed me to register for the student discount program. Signing up for the student discount program is easy whether you already have an online account with Best Buy or not. If you don’t have one, you create one and then register. If you already have one, you sign in and then register for the program. Once you are registered for the program you will receive emails with the monthly online codes or scannable bar-code for in store purchases. $125 Discount : This is by far the best discount I’ve seen so far. By clicking a button I was given a list of about 20 computers by varying manufacturers that were discounted an extra $125 for students. 10% Select Surface Devices : Microsoft Surface Laptops thin, lightweight, and have more than enough power for most students’ needs. 10% off can save you a significant amount of cash! $100 MacBook Discount : MacBooks are popular but expensive. If you’re in the market for a new MacBook, the Best Buy Student Discount Program can help make it more affordable. This time of year computers tends to also go on sale. One might think that a customer would have to choose between a sale price or the student discount. However, the discounts are stackable, meaning the student discount will be applied to any sale price that might be in effect. For example, if a laptop is regularly priced $890, on sale for $740 with a student discount of $125, you get both discounts for a total price of $615!! A computer is a useful tool for any student but can be a budget killer. 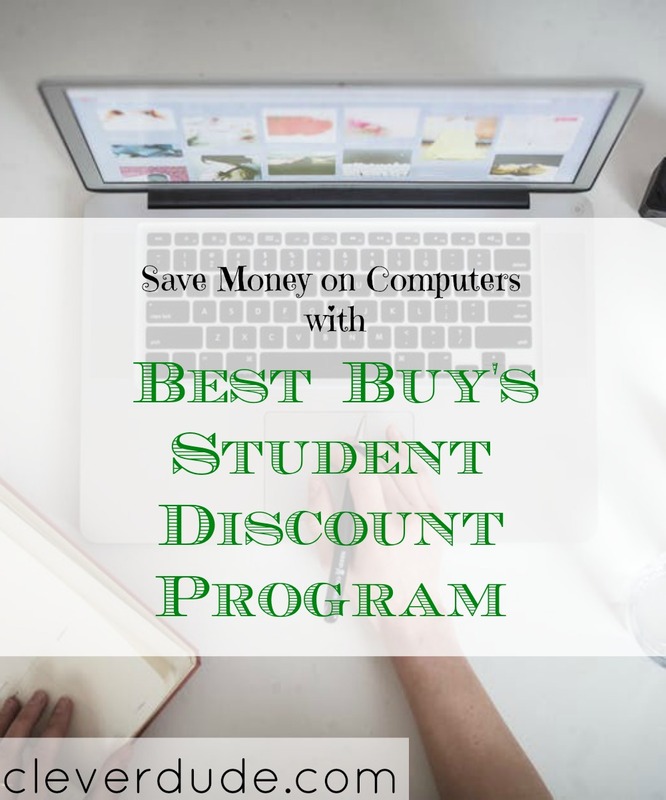 By taking a few moments to sign up for the Best Buy Student Discount Program, students can receive significant discount offers that may help make a computer affordable. Tech Tip : Forget old bulky notebooks and switch to the next-gen virtual PCs to remotely access all your study applications and resources within a single click on any device(PC/Mac/android/iOS) with hosted citrix xendesktop at an unbelievable xendesktop pricing. Learn more about hosted SharePoint, Exchange, MS Project Server and Azure managed services by visiting Apps4Rent.com. How about you, Clever Friends, have you heard of the Best Buy Student Discount program? I haven’t heard of that program, and while it depends on the need of the student, another alternative is a Chromebook. My daugther’s high school uses them and hers was about $200. It won’t run some sophisticated software but it surfs the web and does word processing which is 95% of what 90 of students need. I wonder if the program is new…..I must admit this is the first year I’ve seen it. But it’s also the first year I’ve really been paying attention. Thanks for the tip on the Chromebook! I hadn’t heard of the Best Buy student discount, but that is a great program for high school grads getting ready for college. Stacking discounts makes a lot of sense. Students in high school can take advantage of it too! Keep in in mind…I like to call it “another tool in the toolbelt” of saving money!